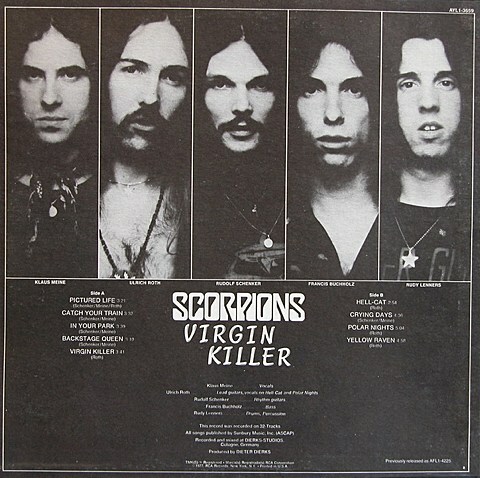 German heavy metal legends Scorpions may be best remembered for their ’80s pop metal era, but they also released a handful of albums in the ’70s predating and influencing several of their ’80s contemporaries. In fact, they formed in 1965, and this year Scorpions are celebrating their 50th anniversary on tour. The tour includes a North American run with Queensryche that hits NYC on September 12 at Barclays Center. Tickets for that show go on sale Friday (3/13) at noon with VIP package, AmEx, Live Nation and venue presales starting Thursday (3/12) at 10 AM. All dates are listed below.